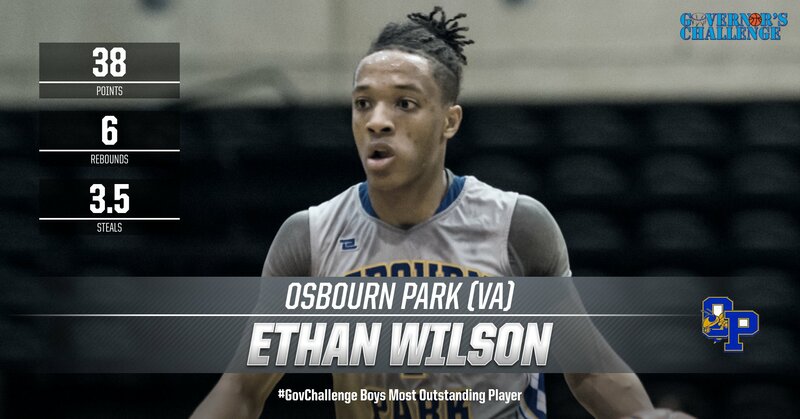 Osbourn Park (Va.) guard Ethan Wilson headlines the group. Wilson was one of this year’s breakout stars, piling up 38 points per game while leading the Yellow Jackets to a bracket title. His 43-point game against Hereford was two points away from setting Governor’s Challenge single-game scoring record. He also averaged 6 rebounds, 2 assists and 3.5 steals per game.